Advanced analytics is enabling utilities to extract new value from operational and sensor data in diverse ways, helping to counter new financial, regulatory, and environmental challenges. Workflows impacted include assessing failure modes, developing algorithms to predict failures, and prioritizing remedial asset maintenance based on criticality. The efforts for this work span across numerous utility groups and can include personnel with operational and asset-specific knowledge to field personnel as well as IT resource experts, data scientists, and statisticians. But what does advanced asset health related work have to do with the stock market? The link is a bottom-line one, driven by a squeeze on capital for utilities. 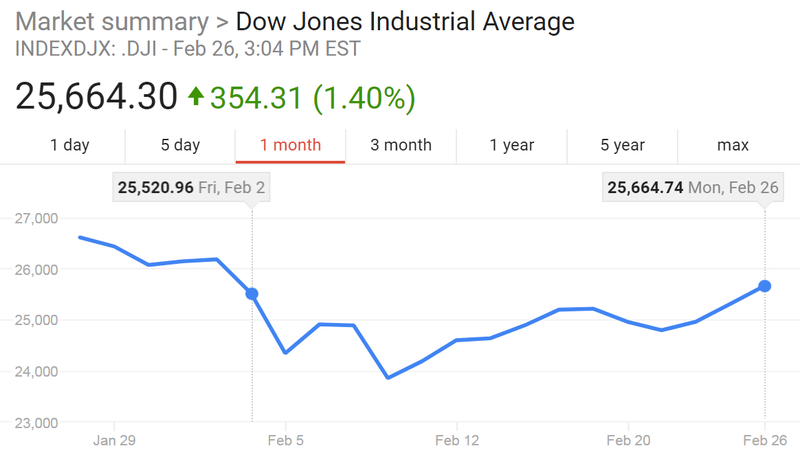 February 5, 2018’s record-breaking 1,175 point drop in the Dow was supposedly driven largely by fears of rising interest rates. There are several ways in which this trend in financial markets increases the benefits for utilities that redouble efforts to optimally address problems which advanced asset health solutions can help solve. Utilities have been implementing asset health solutions to optimize maintenance activities for some time based on the value of selectively refining time-based maintenance with more analytics-heavy predictive and proactive maintenance strategies. Utilities are obviously very asset intensive. Driven by the Baby Boomer generation, U.S. utility annual customer base growth and electricity sales decades ago were much higher than they are now. That constant growth in demand also drove the massive build-out of our electric grid and also reduced the risks typically associated with massive T&D investments; utilities operated under the premises that near-term “overbuilding” of T&D assets would be absorbed by customer load growth within a relatively small period of time. But as the industry has come to realize, the “if you build it, they will come” philosophy has not applied for decades. Both customer growth and per capita electricity usage have become increasingly stagnant in the current era. As a result, most U.S. utilities have T&D asset bases with a much older average population age for the equipment than they operate nowadays, versus 20 to 40 years ago. As a result of the above factors, the role of advanced analytics in helping utilities weather this storm while optimally ensuring reliable service is more prominent. Leading utilities are targeting their T&D investments to harden the grid, increase resiliency, and a lot of the decision-making requires ongoing asset health related data along with a depth of understanding regarding optimization of related O&M activities. Systems for asset health require a series of processes to ensure actionable information in support of actual work order creation. In addition, they employ tools for data visualization and analysis of real time data across individual assets as well as fleets of assets. These capabilities help fine-tune O&M activities, making them more predictive, while still including time-based inspection and maintenance components as appropriate. Advanced asset health represents an ongoing series of ever-greater refinements. Improving how they allocate tight O&M budgets is critical for utilities at any time, but its criticality is increasing due to constraints the industry is facing now. Fundamentally, maintenance cost improvements involve a moving target. Without continual improvement in our ability to perform predictive and proactive maintenance with an aging fleet of T&D assets, the tide of rising costs for older assets will be hard to stem. In addition, for a wider range of assets, whether transformers or circuit breakers or other T&D equipment, the trend to move from performing these more sophisticated forms of maintenance on high voltage assets will continue to move down-voltage, which is of great additional benefit. Associated processes for work management related workflow and communication are another key value-add area. The systems for creating work orders for the O&M work that needs to be done have been evolving alongside the asset health solutions, so as to become more efficient, reliable, trackable, and less costly. Communication and record-keeping and compliance tracking all have their own direct and indirect costs (and liabilities) associated with them, and the need to perform these functions in greater volume and greater detail with greater reliability will be in full force for the foreseeable future. Customer service aspects are also favorably impacted by advanced analytics capabilities, since the greater the accuracy of historical records of time to restoration for various types of assets and failure modes under various field conditions, the more accurately estimated time of restoration (ETORs) can be calculated. Asset health and change management is another area of importance. As asset health solutions move down-voltage from transmission to distribution systems, internal utility resources within and across key organizations (whether “siloed” or not) need to undergo special forms of advanced analytical work all their own. Another driver for strategic analysis of job functions and workflows has to do with what changes as asset health solutions move down-voltage. At lower voltages, functions ranging from engineering design, standards, field supervision, integrated resource planning, and operator training, all become more interdependent, because the type and number of assets expands dramatically, and a lot of the workflows occur on shorter time frames in more “transactional” rather than “one-off” ways. Key functions in associated workflows are optimized by better coordination between these functions and with other stakeholder groups within and outside the utility. The need for such coordination is as great, if not greater, than those found at the higher transmission level voltages. As a result, the complexities which grid planners face regarding the distribution system need to be addressed with tools that are more transparent and interoperable in order to maintain or improve processes.